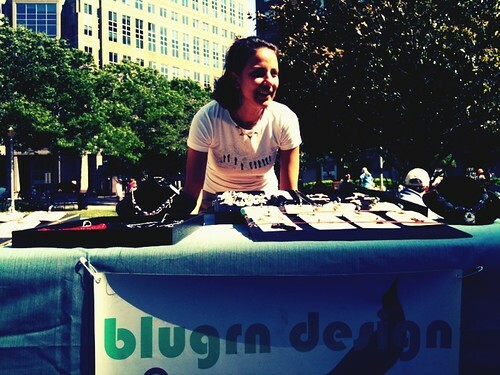 Last week was Ballston Arts and Crafts Market in Arlington. Winds were mighty at 45 mph so everyone had to make due without their canopies... but it was a beautiful sunny cool day with plenty of visitors. All in all a successful and fun day! This Sunday's show is Taste of Arlington! This fun street festival will have local entertainment, lively sponsors, children's activities, and over 40 restaurants participate in this spectacular community event. 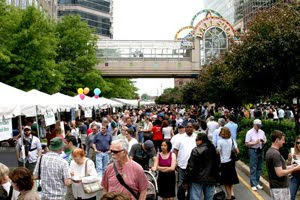 The Ballston Arts & Crafts Market will be one street down from the festival. I'll be setting up shop in the regular spot, Welburn Square, joining the festive spirit. So come join in on the food and fun!